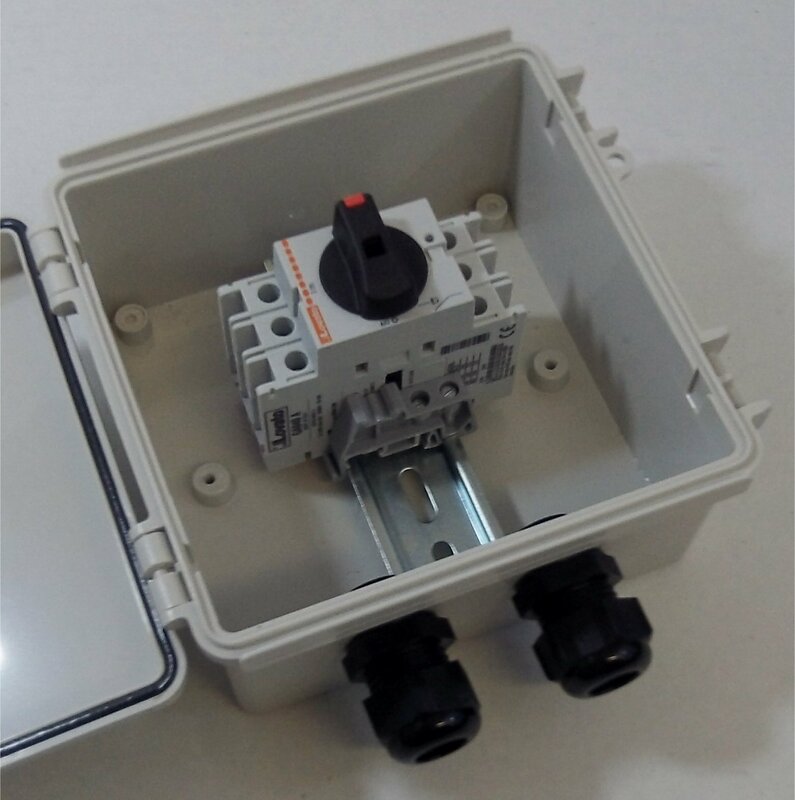 Series SPDB1 Solar Disconnect Box provides the best solution for switching solar photovoltaic (PV) circuits. This series of PV disconnects are available in various configurations of 2 or 3 circuits that feature weatherproof plastic enclosures and string current capacity up to 40 Amps. Some models include Input/Output cable glands that are pre-installed.